Driving toward Gettysburg, I saw the sturdy barns and lush fields of Adams County, including its noted fruit belt. Top of mind for many visitors, though, are the town and Gettysburg National Military Park, site of the Civil War battle. 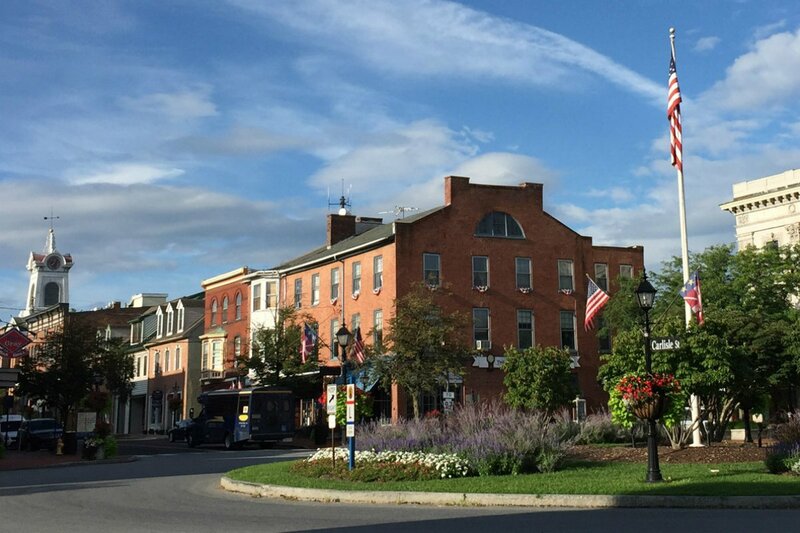 But even though Gettysburg gets 3.8 million visitors a year, the core of this town of 1,097 holds a palpable sense of the past, down to its vintage brick and limestone buildings. To explore the craft beverage scene, check out the Adams County Pour Tour website, then grab a free map and tasting passport from any tour partner or from the Destination Gettysburg office downtown. You can put tasting notes in the passport and get it stamped after you taste if you want to collect prizes from coasters to pint glasses. I found the passport pretty cute, and getting it stamped is satisfying. And it goes without saying: Have a designated driver if you're tasting while on the road. Check out tasting room and restaurant hours — and on-site entertainment — in advance; they vary, and some are seasonal. I made it to Hauser Estate Winery's tasting room on Lincoln Square and bought a bottle of cabernet franc, but I missed a downtown wine tasting at Knob Hall Winery (recommended by several people) because I failed to confirm hours. 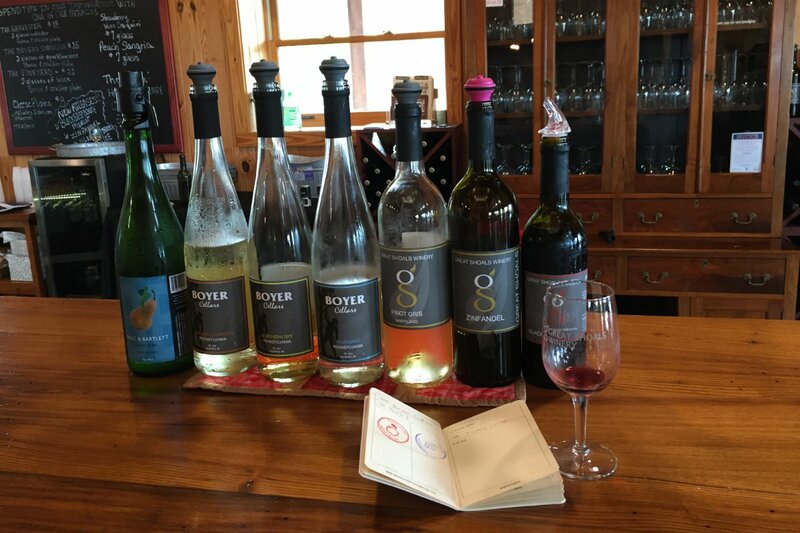 Boyer Cellars, dating to 2016, is an offshoot of family-run (for five generations), 1,800-acre Boyer Nurseries & Orchards in Biglerville. 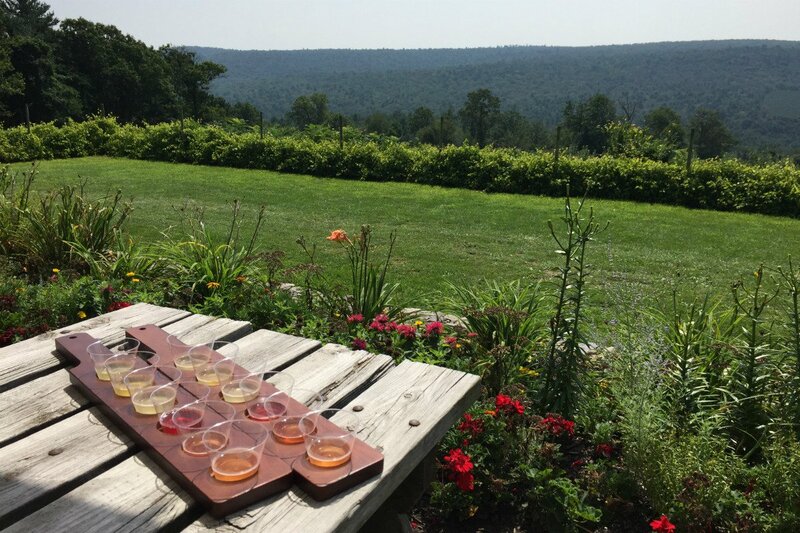 From Friday through Sunday, for $1 per taste, you can sample a range of hard ciders and fruit and traditional wines (made in partnership with Maryland's Great Shoals Winery) in the airy, wood-paneled tasting room. I'm new to trendy hard cider and enjoyed options from dry peach and pear ciders to a semi-sweet spiced apple. Wines are made with grapes from chardonnay to Catawba, an American grape. Step onto the porch for views of the rolling countryside and don't miss the farm market in the big barn, open daily, for fruit (peaches were big in August) and other treats. You can pick your own fruit in season. A worthy lunch and wine-tasting stop in Orrtanna is the outdoor Terrace Bistro (open Friday through Sunday, April to October) at the Farm Winery of Adams County Winery. 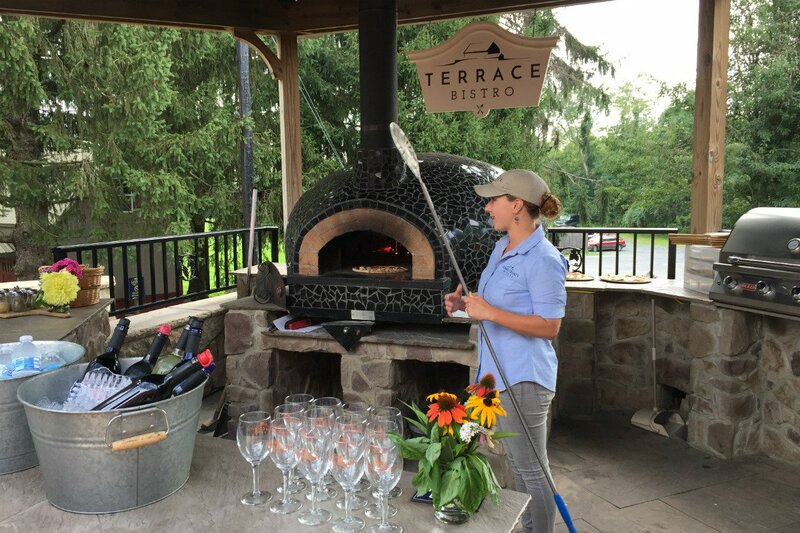 Wood-fired pizzas from an alfresco brick oven make a delicious pairing with the wines. You can taste wine (daily; free or $6, depending on tasting) in the red barn, built shortly after the Civil War; combined tours/tastings are $17.50 to $30. 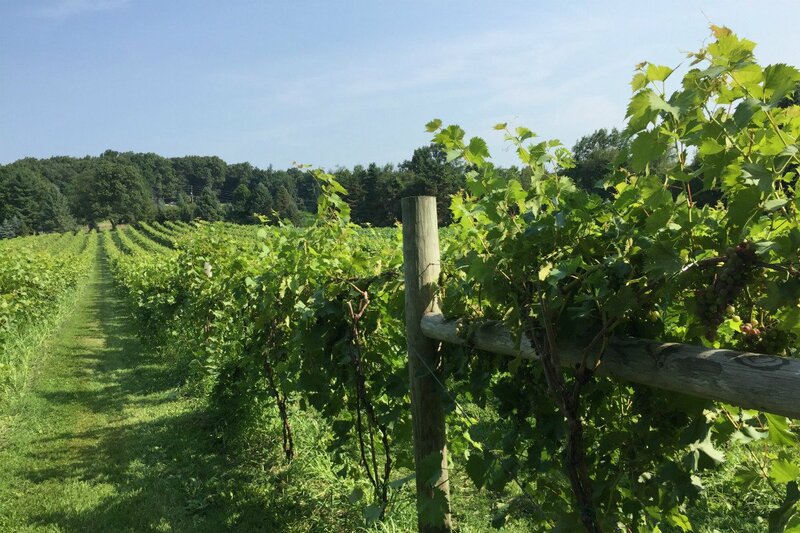 The winery, opened in 1975, produces a wide range of wines, including fruit wines and popular, sweeter ones with names such as Tears of Gettysburg and Rebel Red. There's a tasting room, Wine Shop at 25C, downtown, too, which serves wine sorbet. If Adams County Winery is big for the area, Halbrendt Winery, also in Orrtanna, is small, with five scenic acres and a combined tasting bar and wine production site in one room, a converted garage. The winery — the passion project of John and Noemi Halbrendt, both of whom have plant-science backgrounds — produced its first wine in 2015. They're the sole employees, so you're likely to have Noemi helpfully guiding you through your tasting (Friday through Sunday; $5 for five pours), whether you favor drier wines like chardonnay and cabernet franc or a semi-sweet blackberry wine. Brand-new to the craft beer scene but run by the Knouse family, longtime fruit farmers, is Biglerville's Thirsty Farmer Brew Works (open Thursday through Sunday), a small brewpub that opened in 2018 to offer its own beer and cider, along with snacks and build-it-yourself sandwiches. Some hops and fruits used in the beers and ciders grow across the way. My beer-expert travel companions were impressed by the brews and the variety of hops; I liked the wheat beer and great brown ale. 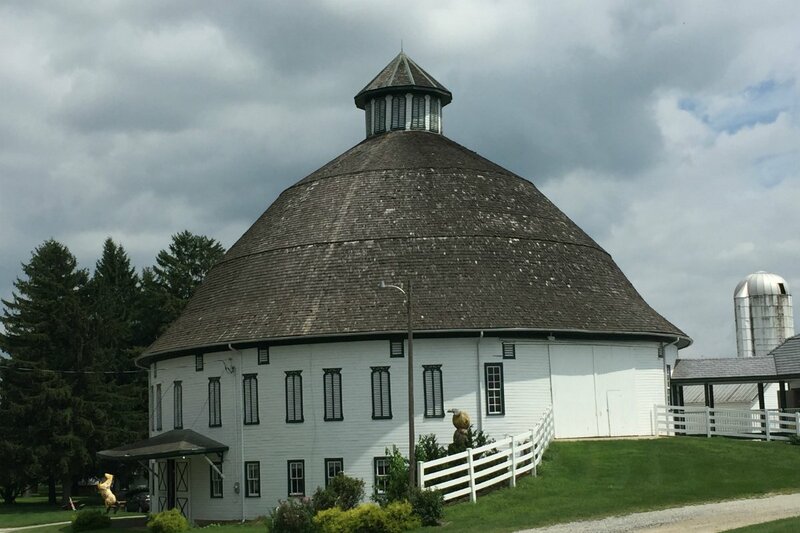 A must-visit is another Knouse venture across the road, Historic Round Barn & Farm Market. The seasonal market (fruit, fruit products, and baked goods) opened in 1922, but the white barrel barn dates to 1914; it could hold 66 horses or cattle. You can sample Reid's Orchard and Winery wines and delicious Black Bear hard ciders year-round at the Cider House in downtown Gettysburg (tastings at either location $5 to $10; you can add cheese and crackers). If you visit on a weekend from May through October, head to the Home Winery in Orrtanna for a tasting in the cozy barrel room or, as I did, outdoors, with panoramic vineyard and mountain views. Ciders range from a delicate semi-sweet peach to a juicy one from Honeycrisp apples. Family-run Reid's has been farming since 1976, selling fruit at farmers markets; the winery and cider-making came later and continue to grow. My focus was the growing craft beverage scene, but make time to explore Gettysburg National Military Park, the site of the deadly (51,000 dead, missing, and wounded) three-day battle that engulfed the town and changed the course of the Civil War in July 1863 when General George Meade thwarted General Robert E. Lee's invasion of Pennsylvania. It's big (6,000 acres), so stop at the Visitor Center and Museum and plan your visit, whether you take in the terrific interactive museum, head out on a driving or walking tour, or pay your respects at the National Cemetery. Gettysburg is, of course, where Abraham Lincoln gave the Gettysburg Address to dedicate the National Cemetery. Worth a stop is the large brick David Wills House and its exhibits on Lincoln Square, where the president worked on the speech that, in the words of the National Park Service, "transformed Gettysburg from a place of death and devastation to the symbol of our nation's ‘new birth of freedom.'" Today the downtown campus of Gettysburg College is leafy and tranquil, but in 1863 Pennsylvania Hall served as a hospital for Northern and Southern soldiers. I like to walk the campus and stop at the free Schmucker Art Gallery, a hidden gem with thoughtful, well-curated exhibits, of historical art and student creations. Gettysburg has everything from chain motels to historic inns and the Federal Pointe Inn boutique hotel to small bed-and-breakfasts. Overall, the style around here is mainly traditional. I've enjoyed staying downtown (check the parking options if you do) and walking to historic sites, shops, and restaurants, but the countryside is alluring, too. I stayed at the 119-room Gettysburg Hotel, right on the Square, and my room overlooked the action but was very quiet. Although it's a member of Historic Hotels of America and dates to 1797, this is a comfortable modern hotel with good-size rooms, a nice restaurant and bar, and a rooftop pool. What I loved: walking to everything. An in-town B&B option is 17-room The Brafferton Inn Bed and Breakfast, which occupies several historic buildings and has its own parking. You can take your pick of room size and decoration (check the dated-looking website). I've stayed in a carriage-house suite. Breakfasts are large and delicious. The 10-room Baladerry Inn Bed & Breakfast is in the lush countryside just 2.5 miles from downtown. The main house was built in 1812, and the land around here served as a field hospital during the Battle of Gettysburg. 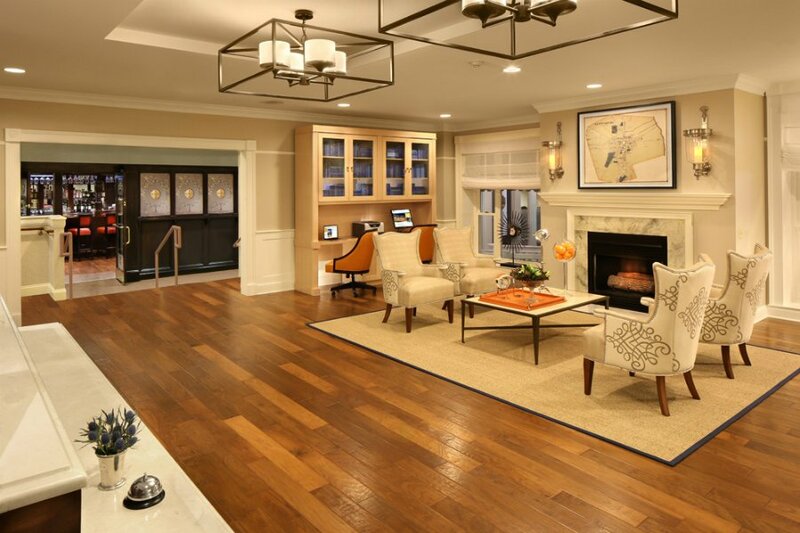 There are rooms in the main house or a carriage house; everyone can enjoy a large common area. What would you do with a large former furniture factory near Lincoln Square? These days, you'd open a distillery, and that's what happened in 2016 at father-and-son-run Mason Dixon Distillery, a grain-to-glass distillery and restaurant with a cavernous wood-beam and exposed-brick dining room. Small-batch vodka, whiskey, rum, and brandy are used in creative cocktails (I loved the lavender lemonade with vodka), and a satisfying, varied menu lists choices from hushpuppies to banh mi to tasty skewers. You can sign up for a tour of the facility for $8 or a tour and tasting for $12. Fun fact: Some of the grain used is grown on acreage leased from the national park, which is returning the land to the way it looked (farmland) in 1863. 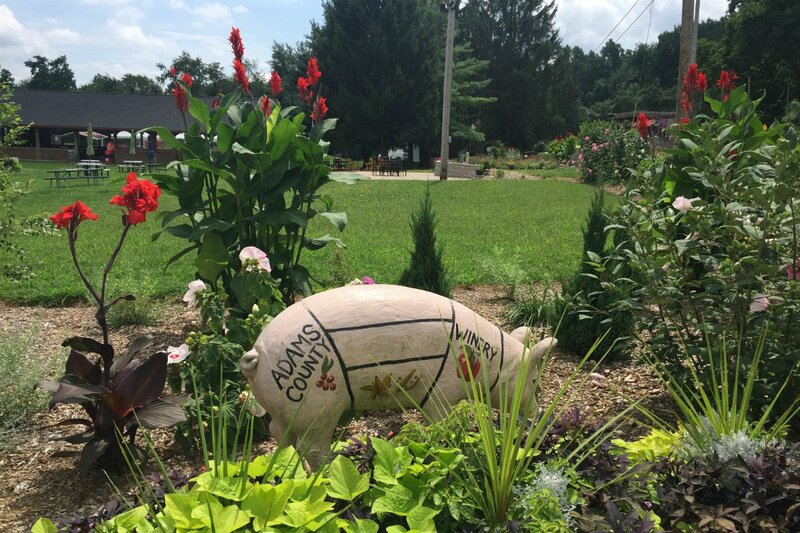 If you're visiting Adams County Pour Tour sites east of Gettysburg or antiquing around New Oxford, stop at family-run Altland House in Abbottsville for lunch or dinner at the Altland House Grill. Wednesday through Saturday evening, you can head downstairs in the 1763 inn to sample brews and eat at Center Square Brewing, which opened in 2015. I had a great dinner and beer upstairs with a snapper special, and my companions loved everything from a zucchini noodle bowl to the famous chicken and waffles. Beer offerings (a flight of four is $6) are well made and distinctive, with choices from lagers to a German chocolate stout. I'd heard about Food 101 (named for its closeness to Gettysburg College) downtown, a 30-seat, no-reservation BYOB, and dined in its cheerful modern, slightly retro-diner space. Familiar sandwiches, salads, and pizzas are there but notched up creatively; I ordered one of the chef's seasonal selections, a delicious shrimp tagliatelle with corn, asiago, garlic, and olive oil. Fresh and locally sourced are bywords here. If you're downtown and need coffee and a fast breakfast, stop at homey The Ragged Edge for an excellent cup. You can pick up coffee and a fresh pastry at the Gettysburg Baking Company on the Square. I recommend the morning roll, a flaky brioche with a bit of orange. Many visitors drive in from nearby states. Gettysburg is ten miles from Maryland; the closest major airport is Baltimore's Baltimore/Washington International Airport (BWI), 55 miles away. Smaller Harrisburg International Airport is 36 miles away. There's Amtrak service to Harrisburg, and Rabbit Transit has bus service from Harrisburg. You need a car to explore the countryside and Adams County Pour Tour tasting rooms and sites beyond downtown. Rabbit Transit's Freedom Transit trolley bus provides service to visitor sites around Gettysburg. 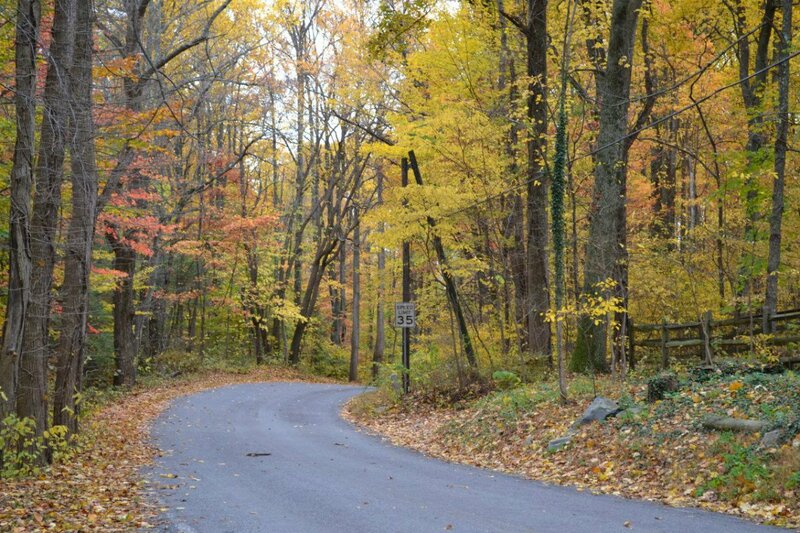 People visit Gettysburg year-round, but the drink experiences would be best from spring to fall. 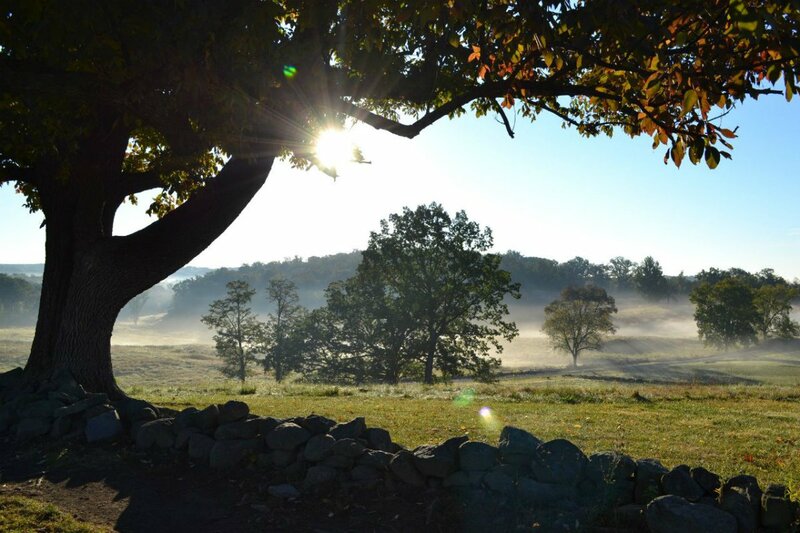 Fall and harvest time are natural highlights in the countryside, with events galore. Biglerville's National Apple Harvest Festival, held over the first two weekends in October each year, celebrates apples with food, music, and crafts.